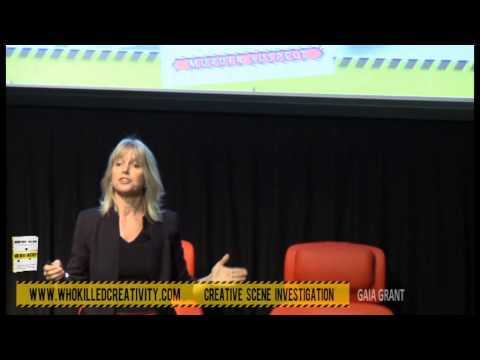 Gaia Grant - Who Killed Creativity? 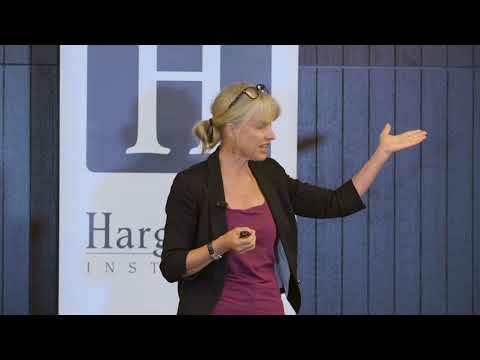 Researcher on innovation culture and sustainability at the University of Sydney Business School, global innovation culture consultant, and bestselling international author. Gaia Grant is the MD of Tirian, the co-author of the breakthrough new book The Innovation Race: How to change a culture to change the game and international bestseller Who Killed Creativity?… And How Can We Get it Back?, and the author of a number of additional books and resources, including A Patch of Paradise and The Rhythm of Life. 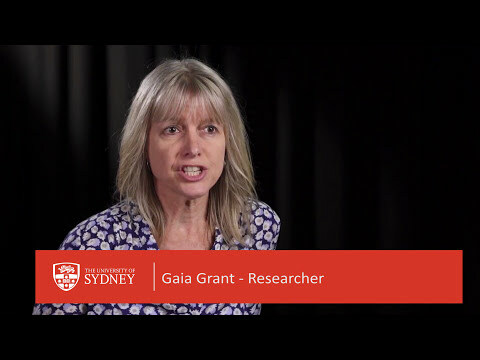 Gaia Grant is a lecturer on sustainable innovation culture in international business and a doctoral (PhD) researcher at the University of Sydney Business School, She also has an MSc in Creative Leadership (State University of New York), along with a Grad Dip Change Leadership, BD (hons), and BA Dip Ed. She is conducting doctoral research on to creating a culture that supports sustainable innovation and is drawing on data she’s collected from more than 1,000 survey responses and 70 interviews with innovation leaders. This has also included a one-year long intensive organisation immersion to share breakthrough insights on innovation leadership and innovation culture. Her corporate clients have included: Google (US), JP Morgan (Asia Pacific), Visa (US), Salesforce (Asia Pacific), Four Seasons Hotels & Resorts (Canada), Citibank (Asia Pacific), Baker & McKenzie (Asia Pacific), Colgate Palmolive (Innovation Lab America), Deutsche Bank (Asia Pacific) and many other MNCs who can all attest to her insightful and engaging approach. Gaia has presented keynotes at a number of high profile events for up to 3,000 people at a time, including: Salesforce International Roadshow | World President Organization Global conference | Optus / Singtel national event |Growth Faculty Conference. Other selected industry keynote and workshop presentations have included Ci Creative Innovation Conference (Australia) and the Creative Problem-Solving Institute (State University of New York, US). Gaia has also presented her research papers at a number of universities internationally across the US (such as Xavier and Miami), Asia Pacific (including Bhutan, Central Philippines University) and Europe (including delivering at major European management theory conferences EGOS and PROS). Want to learn more about Gaia’s MPhil / PhD Thesis? Gaia contributes regularly to a number of major magazines and newspapers, and she has also been featured in a number of international media including BBC and ABC TV along with commercial TV, Reuters, Harvard Business Review, Fast Company and the Wall St Journal. She has co-authored several academic papers on innovation and over 30 corporate educational resources, simulations and programs, which are used by Fortune 500 companies worldwide. Gaia is a recognized thought leader and a highly skilled presenter and facilitator who has developed a wide range of strategies and tools that can be used to find solutions to the most difficult challenges. Along with her corporate client work, Gaia has also researched, designed and delivered long-term innovation culture solutions for a number of not-for-profit organisations, including directing a one-year project working on innovation solutions for an Australian government project that supports impoverished farmers with improving agriculture techniques in Indonesia, coordinating strategies for refugee organisations to overcome challenges internationally, and producing a health curriculum for more than 25 million teachers / students in India. As a dynamic husband-and-wife team, Gaia can team up with her partner and co-author, Andrew Grant, who is also a Director of Tirian Consultancy. Andrew is a globally recognized (TEDx) speaker. "A phenomenal session! The feedback was excellent and many of our members gave this session a 10 out of 10. Really unique in bringing real depth and understanding to innovation. I saw a lot of lights go on today with our CEOs, and this will help our CEOs to be more effective in innovating. Excellent job – It was much appreciated!" "This presentation provided our clients with the tools to help them become a marketing success." "Your contribution in so many ways turned the Optus Learning Fiesta into a smooth event with very interested participants and a great atmosphere for discussion & collaboration." "I was delighted with the workshop Who Killed Creativity?, which has both quality and depth. The combination of your depth of knowledge, presentation skills, and the delightful game made the experience safe, enlightening, and most important, change-enabling. The experience is both easy and fun. We know that experiential learning has the most likely chance of changing behavior over the long term, and the extended value is in the likelihood of the experience “sticking”. Business, education, and government need to engage the new learnings you offer through your program."